Blackburn Rovers Community Trust is now proud to be offering 3D technology experiences to schools, community groups and other partner organisations, allowing them the opportunity to experience the ‘next big thing’ in education. 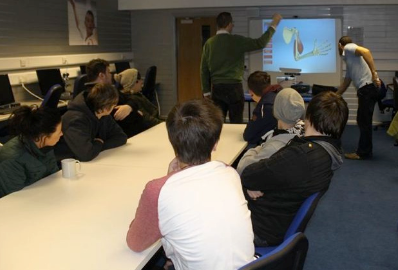 Blackburn Rovers Community Trust is the first Football Community Trust in the UK to work with Gaia Technologies plc to embrace and develop the use and power of 3D technology in their teaching. 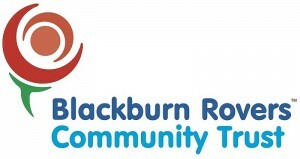 Blackburn Rovers Community Trust (www.brfctrust.co.uk/community) is very much at the heart of embracing and recognising the use of ICT as a powerful learning tool. In championing the latest technologies, the Trust has seen students become motivated, engaged and ultimately achieve success. The introduction of 3D in curriculum delivery across a range of subjects makes an already unique learning environment stand out even further from the competition. This new technology includes an interactive 3D heart rate monitor, which allows students to witness a 3D representation of their own heart beating in time to their pulse. The 3D experience allows students to enhance and apply their understanding of complex issues by learning through observation and investigation, rather than via the traditional routes of instruction. This unique method of pedagogy allows environments and models to be observed in full 3D from every angle. This fully interactive learning tool engages students through a variety of learning styles, guaranteeing a greater level of participation and comprehension. What takes the Trust’s use of 3D learning solutions to a whole new level is the ability to make it possible for students to develop and produce 3D content themselves, using freely available software such as Google Sketchup and Autodesk 123D Catch. The Trust’s use of 3D technology has been beneficial to teaching and learning across a range of subject areas and has created a fun and stimulating learning experience by immersing students in environments like never before possible. The ‘wow factor’ is often witnessed in Trust-delivered sessions when students are presented with the 3D learning environment. As acknowledgement of its excellence in ICT provision, the Trust has become an Acer Education Centre. As part of an Acer project for education, in collaboration with European Schoolnet (EUN) (www.eun.org), Blackburn Rovers Community Trust has had the pleasure of receiving a class set of Acer tablets for use across the Education Centre. The goal of this project is to support teaching organisations and schools to move into the 21st Century by providing the opportunity to develop new teaching and learning methods through the use of technology. “These tablets really do make a difference to developmental areas such as independent learning, increased motivation and levels of participation. Using the tablets and combining them with other software and hardware solutions such as Gaia’s 3D Viewer, we have been able to transform Ewood Park into an interactive learning hub, giving students and teachers alike countless opportunities to participate in interactive Maths, English, Science and History trails to name just a few activities on offer.” added Mr. Dawes.